Set tasks for students that are conducive to creativity. Provide students an opportunity to observe examples of unique presentations or ideas in various subject areas. Encourage students to be less imitative. High quality and originality supports creativity. Encourage combining ideas to make something new. Generating a grade is not recommended. This may stifle ideas. There is not a formula for providing feedback. Provide feedback with specifics on why their work is creative and allow students to enhance their work. 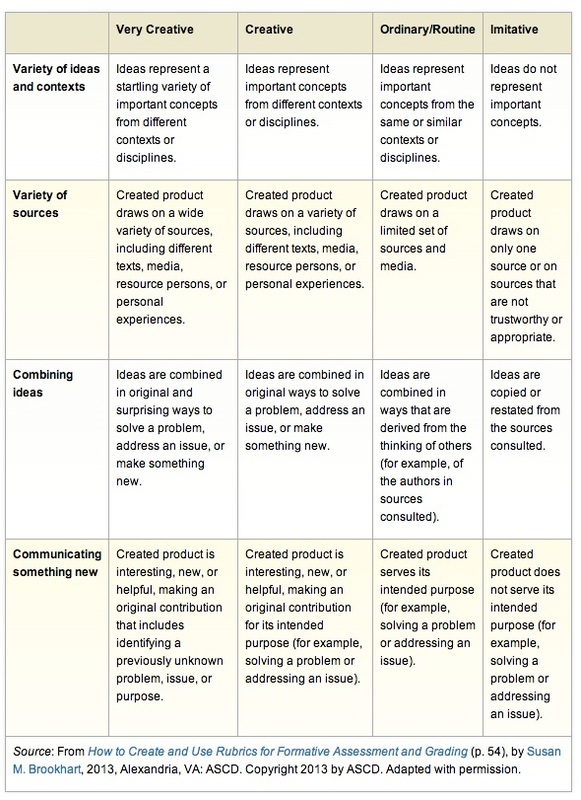 Creativity can be assessed at every grade level and subject area.